Got Trash? Well, these three machines are definitely not trash! 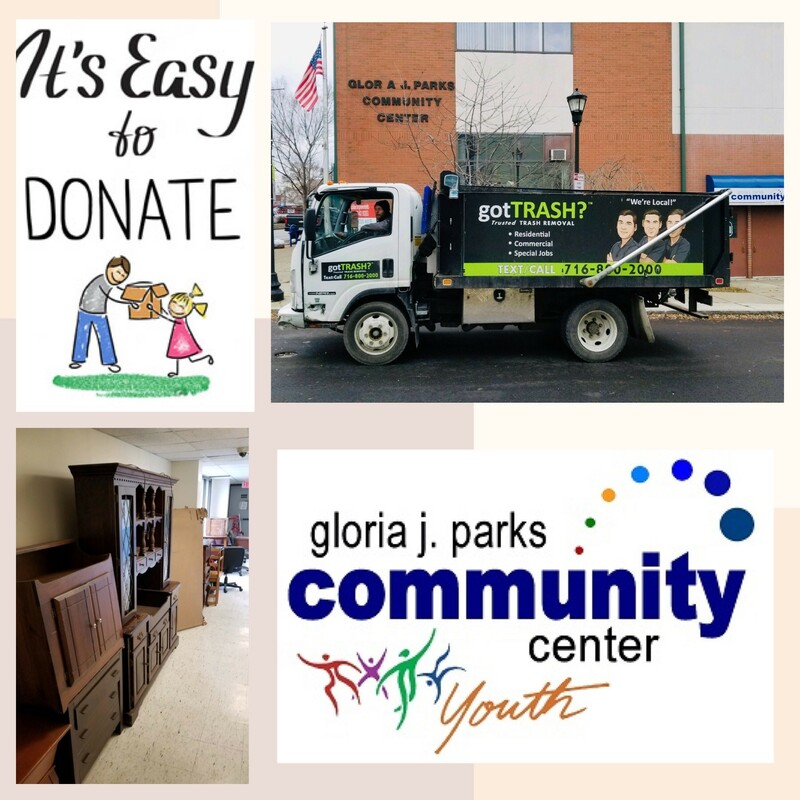 Thanks to the generous support of a longtime Community Center advocate, got Trash, the Gloria J. Parks Community Center received three new pieces of fitness equipment to add to the fitness center. The elliptical and two recumbent bicycles are estimated to value around $3500 and will greatly improve the quality of life for our fitness center users. Our fitness center is open to members of all ages, but largely attracts the use of our seniors. Gym memberships range from $35-$85 based on age and family size, with free memberships awarded to members ages 55 and over. This is a great way for people of all ages to get out of the house, get some exercise and spend time with our community! Thank you so much for your generosity! There will definitely go to good use! To learn more about the Gloria J. Parks Fitness Center, contact the front desk at 716-832-1010.